GPS Trackers Explained • Everything You Need To Know Before Buying! GPS Trackers are brilliantly useful little devices which are able to report their locations to within a meter of accuracy. They can give their location when you ask for it (e.g. someone with dementia is lost and you wish to know where they are), or on a constant regular basis (e.g. to see the route that someone is taking, or a route they have taken in the past). Typically, the GPS location is given via text message (a live Google Map link can be clicked on your phone to show the exact location - read more here), but if you set regular locations then you can log into an online tracking platform instead (more about that here). So to be able to transmit the location information, GPS Trackers are actually like small mobile phones - they have their own pre-installed free GPS Tracker SIM card installed inside, and their own phone number. This is how you're able to set various functions and ask for locations, by texting them from your own mobile phone. What's great though is that GPS Trackers actually can be used as phones - our main dementia tracker has two-way calling. 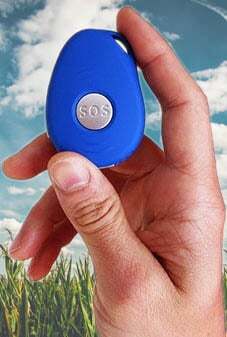 The person carrying the GPS Tracker is able to press a button to call a pre-set phone number, and is able to receive a call too. It can also call out automatically if the SOS button is pressed, or a fall is detected. We mainly help carers and relatives help to locate people who are vulnerable to wandering and becoming lost - basically dementia trackers, elderly trackers, trackers for children, or trackers for travelling. The most common use is dementia, Alzheimer's and elderly wanderers. GPS Trackers are incredibly usedful for this, because they're packed with terrific secondary functions (more about those below). Until small enough for people, GPS Trackers were originally associated with vehicles, and are still of course a vital part of many industries. The majority of companies with a fleet of vehicles use vehicle tracking to keep an eye on things. Its useful for example to be able to see where a package is, when the courier has GPS tracking. The other main use is to stop things being stolen. As well as cars, this can include farm machinery, caravans, bikes, expensive electrical equipment, containers and even livestock. 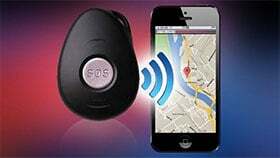 GPS Trackers are small enough now to be discrete and easily hidden from thieves. A radius of anywhere between 100m to 3 kilometers can be set on the GPS Tracker. If the wearer than wanders beyond that point - it will send an automatic text alert to up to three different carers mobile phones to let them know - along with the current location. This is excellent if you're worried a loved one might become lost, or wander from a care home. This function is called geo-fencing, and up to three different areas can be set to alert if the GPS Tracker goes in, or out of the zones. If the button on the front of the dementia tracker is pressed, it will send a text alert to up to three carers, and all an outgoing phone call. There is also a built-in motion sensor which can detect a fall - and again send a text alert and phone call (false alarms can quickly be cancelled). You can read more about GPS Trackers as fall detectors here. 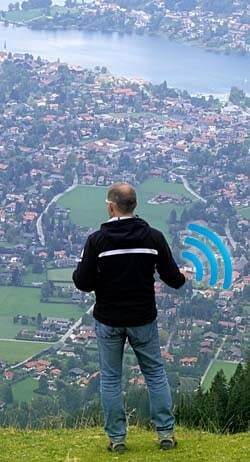 How Much do GPS Trackers Cost to Use? GPS Trackers themselves vary a lot in price, but there are lots of variables. Some companies charge hidden fees, expensive SIM usage costs, or monthly charges. There are also differences in the level of information given, clarity of manuals, and customer support. 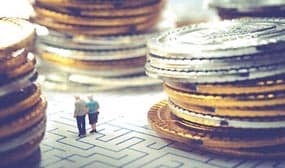 Our dementia tracker costs a one-time payment of £148.99, with no more costs from us whatsoever, but plenty of help, detailed online information portals and great customer service! You will only need to pay for your SIM usage, which is very cheap! When you activate the free GPS Tracker SIM which comes pre-installed inside our GPS Trackers, you will have £15 of pay-as-you-go SIM credit which you look after yourself via the SIM network (GiffGaff, who use O2 - but you can use another network if you wish). Then, whenever GPS Trackers text a location, it only costs 5p from the pay-as-you-go credit. For most customers, this only costs about £1-3 a month. If though you think you might be using it more often, GiffGaff also have a £5 per month deal which includes 500 texts and 150 minutes of calls (for outgoing calls or SOS calls from the GPS Tracker). Data usage is also very cheap - if you choose to use free online GPS tracking all the time (where it regularly uploads its location and you can see the route), then it only costs about 20p per month for data (the actual GPS Tracking account is free to set up and use, which other companies often charge for. You still have to pay for the SIM's data usage though - but its very cheap). What Else is Worth Knowing About GPS Trackers? If using GPS Trackers for dementia, you may want other family members or carers to have access. Our unique firmware allows for different people to request a location from the device. You can set up to five different people to receive various alerts or outgoing calls. You can read more about it here. Our versatile dementia tracker is small, discrete, waterproof and tamper-proof - so can't be easily turned off by fiddling hands (which can be an issue with dementia and other GPS Trackers!) You can also disable the call-out and SOS buttons if they're likely be repeatedly pressed by accident. It's important to remember that GPS Trackers rely on both GPS availability and phone network signals. If they're deep inside a building (e.g. care home, shopping mall, hospital) then GPS signals won't be available and so locations won't be given. Phone networks can vary in strength across UK, particularly in more rural areas. Any phone network can be liable to mast-tower issues too - which means that signal can drop for hours on end on rare occasions. For these reasons, you should never rely entirely on GPS Trackers for someone's safety - they are an assistant aid only, and shouldn't encourage a situation where a person would be in danger without it. Why Buy a GPS Tracker From Us? We pride ourselves on having clear and useful information each step of the way, to keep things as simple as possible for you. When you buy a GPS Tracker from us, you'll get clear and concise information on activating your SIM, using the device, and access to a large online help portal with extra details and tips on various functions - all to help customers make the most of their GPS Trackers. We offer access to free online tracking (no subscriptions or fees - just 20p per month for data usage from your SIM's credit). You'll also benefit from great customer service - if ever you get stuck or have a question, just get in touch and we'll quickly help out.